My kitchen is full of cookery books. There are region specific ones, celebrity television chef ones, food specific ones, curry is a particular favourite, and even one that explains how to catch, kill, hang and cook a possum! Added to this are a number of recipe cards that have fallen out of magazines, extracts from newspapers and periodicals, and hand written recipes passed down through the generations. Many of the books have pages stuck together, particularly the messy Nigella ones, whilst many of the magazine pages are torn and faded. Now, whilst the feel of a 300 page cookery book might initially fill me with excitement at the prospect of new ideas and new ingredients, it is not too long before I realise that, for everyday cooking, I am only ever going to use one or two, and even the one or two are generally adapted to the tastes of my own family as well as the convenience of the ingredients. So, I decided that I would put all of my favourite recipes in one place, on the Kindle, an item that is likely to be treated with a lot more care than a newspaper cutting. I know that there are no pictures to go with the dishes, but I already know what the finished meal should look like. 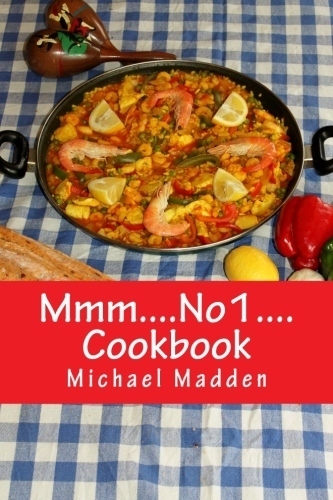 Another advantage of Mmm.No1...Cookbook on Kindle is that it provides a handy method of taking a list of ingredients to the shops!